PEF sponsors two major fundraisers and several smaller ones throughout the year. A themed gala event is held at the Poquoson Yacht Club in March. 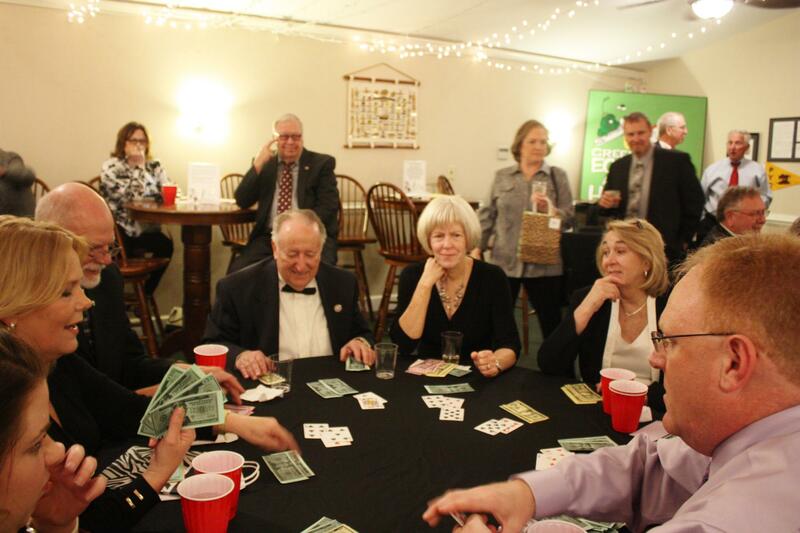 The theme changes each year but the event always includes a catered dinner, silent and live auctions and gaming tables. In October we pair up with the Kiwanis Club of Poquoson to sponsor Poquoson's Run For The Bulls 5K Run and 2 Mile Walk. This event is held in October and attracts participants from all over the Hampton Roads area. We enjoy outstanding support from the local business community and many individuals. The walkway was established in the spring of 2010 as a fundraiser for classroom grants and scholarships. Bricks can still be purchased. Workplace contributions to United Way of South Hampton Roads may be designated to PEF #6640. Kroger Loyalty cardholders can link their card number to PEF and we will receive a percentage of each purchase a cardholder makes . Our Kroger account number is BU831. Amazon users have the option of linking their account to Amazonsmile. PEF then receives a percentage of each Amazon pur-chase made by the user. Poquoson's Run For The Bulls is a joint effort of PEF and the Kiwanis Club of Poquoson. The Peninsula Track Club and Road Runners Club of America also provide support. The run/walk is held on the last Saturday of October. Costumes are always welcome and add a bit of whimsey to the event. Our annual gala has something for everyone. Good food, gaming, auctions and best of all, great company! The addition of a live auction several years ago has added a new dimension to the event. Donations can be made at anytime through PayPal using either a PayPal account or credit card. 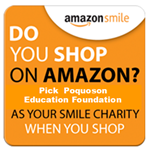 PayPal accepts donations to PEF at anytime via a PayPal account or credit card.